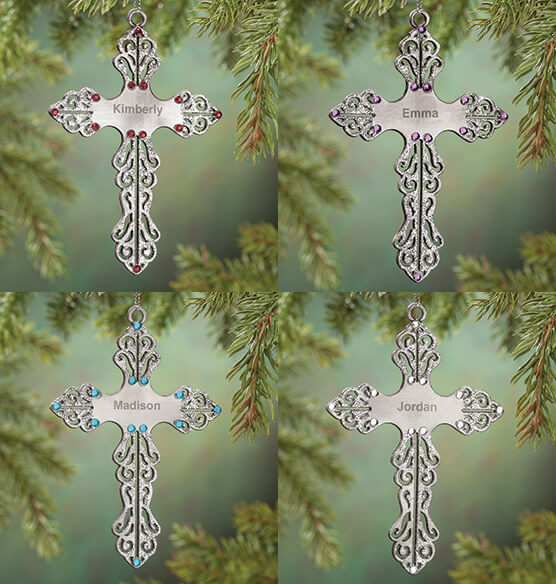 Beautifully engraved with any name, this personalized birthstone cross pewter ornament shines with your choice of birthstones—for a keepsake that's meaningful and personal. 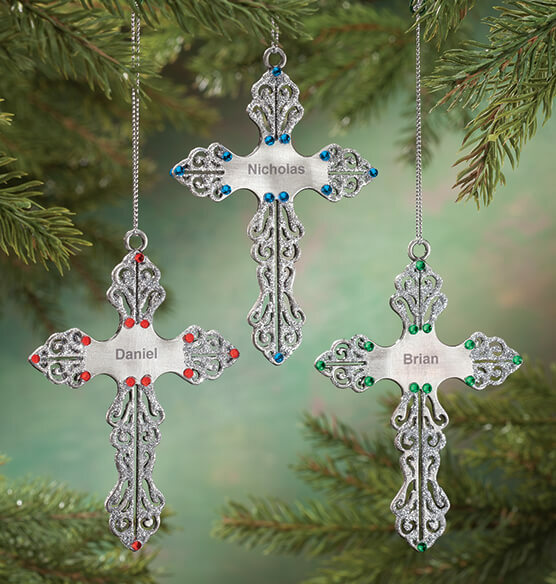 A perfect gift for Christmas, Baptism, First Communion or Confirmation, the solid pewter ornament features 12 faceted birthstones that shine through from either side, while silver glitter illuminates the front. 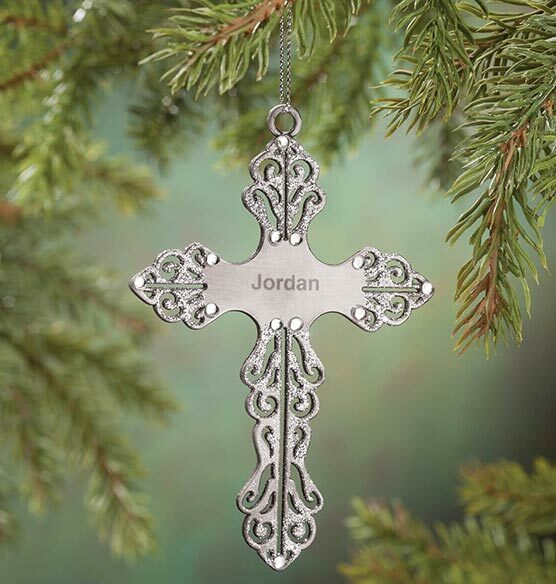 We'll personalize at no extra charge, creating a gift of faith ... reflecting your love. Specify month. Specify name; limit 1 line, 10 letters/spaces. 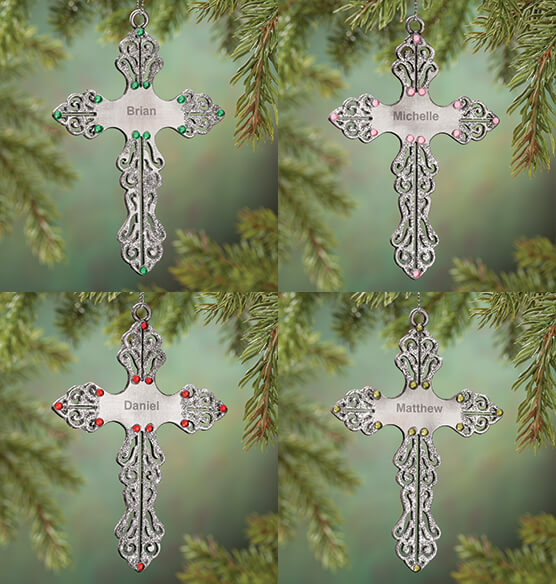 Christmas ornament measures 4 1/4" long x 2 3/4" wide; includes silver cord for hanging. It's absolutely beautiful,my mother will love it ?? Lovely ornament. I would buy again. Bought several for gifts. Nice personalization, crystal accents and delicate details make this a thoughtful gift with special meaning. I ordered this as a gift for my daughter and she thought it was so pretty. She liked the birthstone in it. She seemed very pleased with it. I also ordered one for my other daughter, she hasn't seen it yet, but; I'm sure she will be pleased with it. I like it so did the person I got it for. 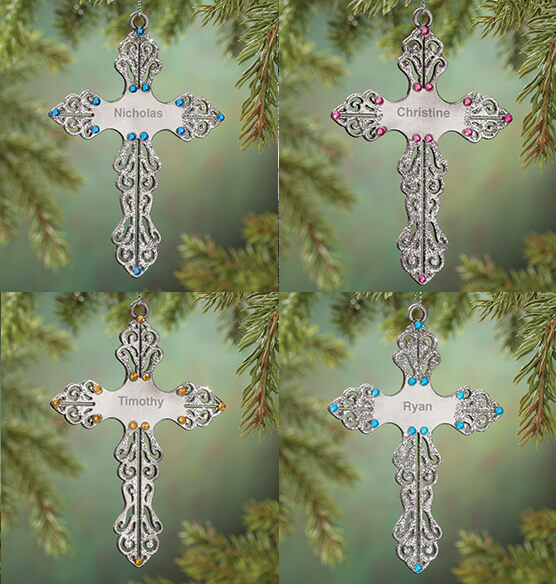 I got this cross for my mom to have her remember my sister that passed away, she loves crosses and to be able to use the birthstone with it is just great.